From Edinburgh to Tokyo, 101 of the best judo games are brought to you exclusively by Fighting Films. 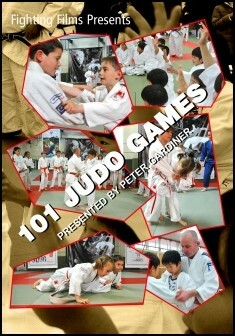 Presented by Peter Gardiner, 101 Judo Games contains games for three age groups (6-8, 9-10 and 11-13). Each group is divided up into seven sections, with games for warming up, breakfalling, gripping, tachi-waza, newaza, throwing and rough & tumble.